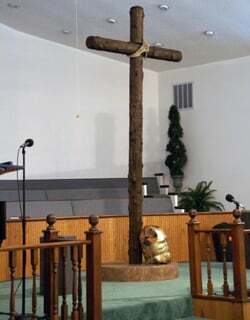 We invite you to read the story of Sonlight Baptist Church in Colbert, GA. Our church history is a story of God’s faithful provision to this Independent Baptist congregation in Oglethorpe County. We begin our story, like the people of Israel wandering through the desert, with a tent. Sonlight Baptist Church began on September 5, 1965 under a tent in the yard of Brother Claude Sorrow. Twenty-one people became the church’s founding members. Brother James Brock served as mediator. Rev. Ernest Palmer was called as Pastor. The church then moved into the old Coile’s Grove church building for the winter. In the spring of 1966, 10 acres of land were purchased and the auditorium with two small wings extending off each side was built. The church was later bricked and the wings expanded to their present size. 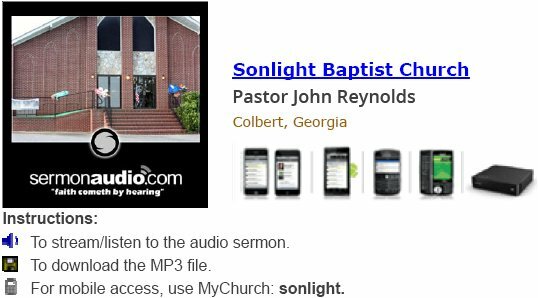 Welcome to the website of Sonlight Baptist Church in Colbert, GA. We are an Independent Fundamental Bible-believing Baptist church reaching out to the lost in our neighborhood and around the world. We are located in Oglethorpe County, Georgia near Winterville and Colbert. We are a missionary church acting on Christ’s Great Commission (Mt. 28:16-20). We are a small but growing Church. We are small enough to feel like a large family. At the same time, we are large enough to offer ministries for every age group. You will find us a friendly church that welcomes every visitor. We believe that the Bible is the inspired Word of God. At Sonlight Baptist Church, you will find lots of good singing, a choir, and great preaching from God’s Word. View our weekly schedule. We encourage you to come visit us. Call us at (706) 742-9575 if you have any questions. Our leaders at Sonlight Baptist Church are ready to welcome you to our church this Sunday. We hope you can join us for a service or for any of our activities. Call (706) 742-9575 to get in touch with us.